Old phone shop sells or rents antique and rotary telephones for Movies and Theater performances. We are capable of filing any order. 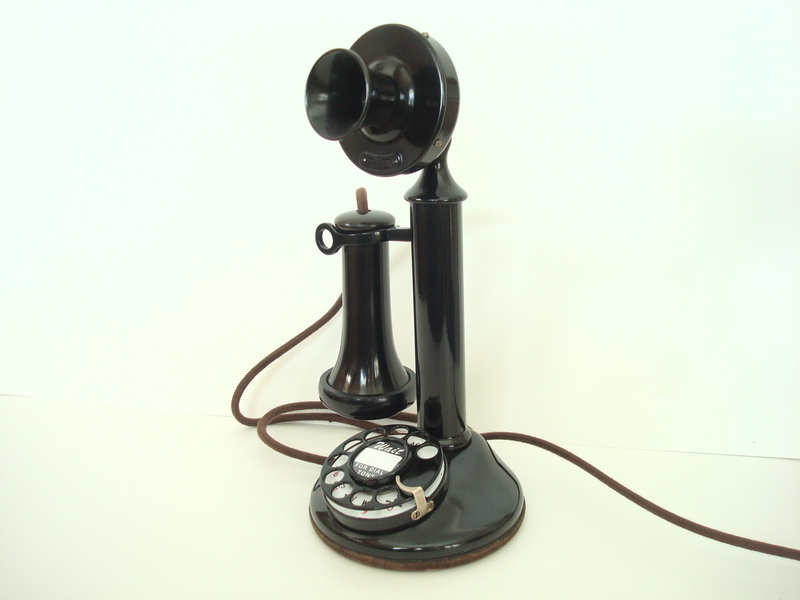 In many cases productions have bought our vintage telephones and other times we have rented them as props, sometimes working and ringing phones depending on the need. We can advise on which phones were used in any given year or era for authenticity of the performance. Our antique telephones were featured in the movie John Dillinger and the 2013 movie the Great Gatsby, several television shows, theater and stage. Some of the phones we sold for movies were candlestick telephones , 302 telephones and AE40s . We have also rented some of these great antique telephones for weddings or other special occasions at a reasonable price. On rentals we ask for a deposit to cover the price of the phone. The deposit is given back upon return as long as it arrives in the same condition it was sent out .